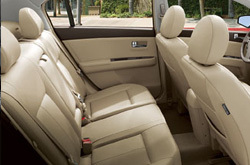 We encourage you to scroll past the YouTube video located below to read a full review of the 2013 Nissan Sentra. It's our mission to supply Nissan reviews created by the most outstanding automotive writers in the business - it's just one of the things that makes us a premier Nissan dealership in Albuquerque. 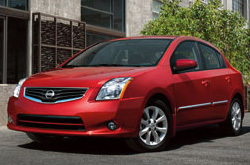 This Nissan review article contains everything you need to know about the Sentra and it's specifications, mpg and more. Watch the video below or skip it to get the Sentra review. When comparing the 2013 Nissan Sentra against the 2013 Hyundai Elantra, Honda Civic, Ford Focus and the Chevrolet Cruze, and you'll find that the Sentra out does those autos in several aspects. Get a load of just a few of the reasons below. Reliable Nissan auto repair and service in Albuquerque is just a click away! Your Nissan deserves to be treated properly - that means Sentra factory- trained Nissan technicians, the peacefulness that comes from a 12-month service work warranty and legitimate Nissan parts and accessories. When you bring your Sentra to our auto repair division in Albuquerque, you'll get tried-and-true service from our friendly mechanics. For snappy oil changes and other Nissan services like in-cabin air filter switch outs and battery replacement, come to us. We even work on more time consuming tasks with without breaking a sweat, including jobs like transmission repair. Reliable Nissan's got you covered for tried-and-true Nissan repair and factory-scheduled service in Albuquerque. The subsequent link is your boulevard to astounding savings. Click now to be taken to to Reliable Nissan's specials.